HOW I GOT THIS BOOK: This was a gift from a friend. A short story collection is both easy and difficult to put together. It has to convey a lot in a few pages, and must have a theme or at least a common thread. When this book came to me, highly recommended, I first noticed the summary. It piqued my interest immediately. There was something about the title that drew me in. Life, by itself, is chaos. And if this book's summary is anything to go by, it dealt with all the different facets of chaos found in everyday life. The cover was simple and belied the content within. There was nothing chaotic about the minimalist design of the cover except inside the one letter. 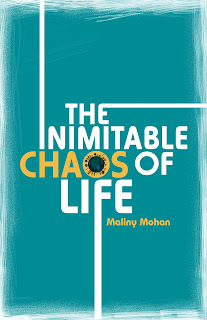 I was eager to delve into the 'chaotic pages of life', because the summary told me it will make the stories relatable. The Inimitable Chaos of Life is easily one of the most well written anthologies I have seen in recent times. True to its summary, each of the 14 stories was focusing on the chaos that is life. One of the main reasons why this book worked is that it delivered what it promised in the summary. Each of the stories individually managed to hold my interest, and they drew out of the chaotic emotions each and every one of us must have faced at one point. People from different walks of life face different types of situations, and how they move or change our lives is what constitutes each story in this collection. No two are alike but they are all similar and have a common theme. There is a simple thread that binds all these stories together, and chaos is just that one word for the beautiful emotions captured as part of these stories. The human mind is ruled with emotions, and often all of our decisions are in some way influenced by our emotions. What might sound rational at one point will seem completely bonkers at hindsight. The same workload will seem less while the mind is happy, while it will seem heavy and dragging when the mind is otherwise occupied. The theory of relativity works best with emotions that influence a huge part of our lives. 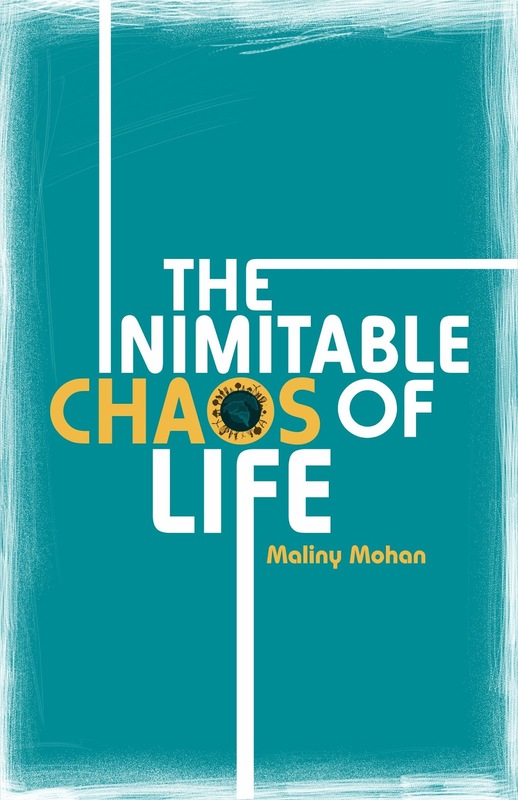 The Inimitable Chaos of Life focuses on (thankfully) many different types of emotions and does not limit itself to the common ones. There is also a tangent that runs along each story, neatly ending with a simple but powerful message that is conveyed. All the stories have a pleasing structure. There is the beginning, the concept. There is clarity, and the characters are very relatable and clearly defined. There is closure, even in the short space provided. The stories are not left hanging or abrupt. The concepts are not overdone, nor is there room for unnecessary speculation or confusion that might arise out of an ambiguous narrative. The strength of the book is its language, and the subtle art of putting the message across in the limited space given. Good language is always a pleasure to read and definitely a bonus for any book. The inimitable chaos of life scores in that area, and outshines its peers by a large margin. The beauty of the book is in the subtlety of the emotions. The characters are impressive, some of them leaving a lasting impression on the readers' minds. The language is lucid, with some words adding to the readers' vocabulary. The writing style is straightforward, not resorting to anything more complex. The underlying concepts are brought forward with clarity and that is the USP of this book. The Inimitable Chaos of life is definitely a book that merits multiple readings, at least back to the favorite gems of the collection. The smooth language, that deserves special credit. The emotions portrayed were realistic and relatable. It'd be helpful to have a dictionary handy. Though this isn't a negative in my opinion. A brilliant collection, definitely worth another read.